The Dusty Monk is located in the El Presidio neighborhood of downtown Tucson area and a place I never knew existed until we came upon it three days ago. We walked through the pub on our way to the La Cocina courtyard to hear music during the Folk Festival. 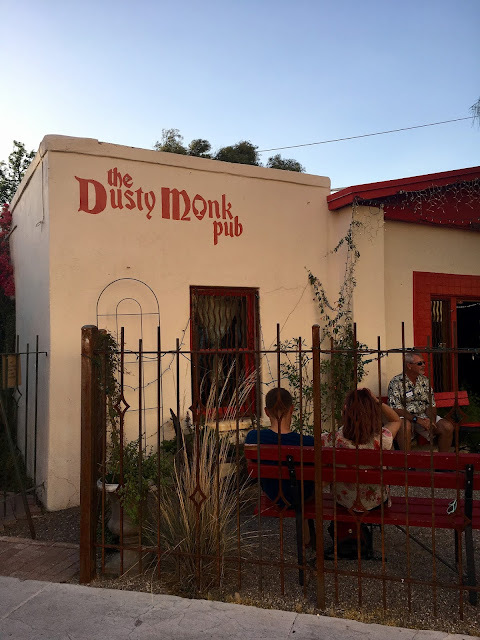 I read they have a great piano night here at The Monk, which might be something we need to check out in our ongoing exploration of the Tucson.